MATTHEW HOLLIS was born in Norwich in 1971. Ground Water (Bloodaxe, 2004) was shortlisted for the Guardian First Book Award, the Whitbread Prize for Poetry and the Forward Prize for Best First Collection. He is co-editor of Strong Words: Modern Poets on Modern Poetry (Bloodaxe, 2000) and 101 Poems Against War (Faber, 2003), and editor of Selected Poems of Edward Thomas (Faber, 2011). Now All Roads Lead to France: the Last Years of Edward Thomas (Faber, 2011; Norton, 2012) won the Costa Biography Award and the H. W. Fisher Biography Prize and was Sunday Times Biography of the Year. In 2016 he published limited letterpress and hand-made pamphlets, Stones (Incline Press, 2016) and East (Clutag Press, 2016). Ruin has been published in Modern Poetry in Translation: Our Small Universe, 2019, Number 1. To see the edition mapped click here, or to purchase a copy click here. Matthew Hollis, guitar, and Richard Scott, counter-tenor, will perform music by John Dowland, Jolie Holland and Luke Kelly, with texts by W. B. Yeats and Patrick Kavanagh. They will also discuss how poetry and music are intertwined though rhythm, cadence and feeling. 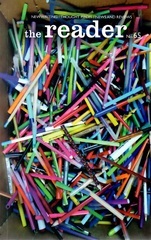 Matthew Hollis explores The Waste Land. Twice. Firstl with a sound and vision talk, secondly as a two-voiced dramatic reading of the poem with fellow poet Richard Scott. Readings from the Carol Ann Duffy, Imtiaz Dharker, Daljit Nagra, Hannah Sullivan, Zaffar Kunial, Sean Borodale, Andrew McMillan, Ella Duffy and Mark Pajak. Richard Scott, poet and countertenor, will be joined by Matthew Hollis, poet and guitarist, to celebrate his debut poetry collection, Soho. Scott will be performing music by John Dowland, Jolie Holland and Luke Kelly. As well as presenting work with text by W. B. Yeats and Patrick Kavanagh, he will also be reading from Soho, and with Hollis, will discuss how poetry and music are intertwined. 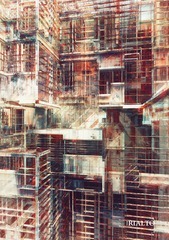 Scott was born in London in 1981 and studied at the Royal College of Music and Goldsmiths, University of London. His pamphlet, Wound, won the Michael Marks Poetry Award 2016 and his poem, Crocodile, won the 2017 Poetry London Competition. Soho (Faber & Faber) is his first book. It has been shortlisted for the T.S.Eliot Prize. He teaches poetry at the Faber Academy. 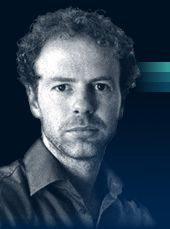 Hollis is the author of Ground Water, shortlisted for the Guardian First Book Award and the Whitbread Prize for Poetry. 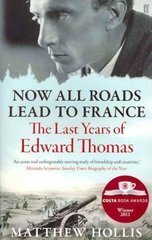 Now All Roads Lead to France: The Last Years of Edward Thomas won the Costa Biography Award and was Sunday Times Biography of the Year. The poet Edward Thomas died at the Battle of Arras one hundred years ago on 9th April 1917. He’d been a poet for little more than two years and his collected works amount to only a slim volume. Nevertheless he is regarded as among the greatest of English poets. What made him so? Poet and editor, Matthew Hollis, follows a journey Thomas made by bike in the spring of 1913 from London into south west England. It was a journey that produced a prose book for Thomas, In Pursuit of Spring, but it was also a journey that turned him towards poetry. Producer: Tim Dee. To listen to the programme, originally broadcast on 6 April 2017, click here. Matthew Hollis is the author of Now All Roads Lead to France: The Last Years of Edward Thomas, winner of the Costa Award for Biography and the H. W. Fisher Biography Prize, and Sunday Times Biography of the Year. Join him as he brings Thomas’s thrilling and fateful story vividly to life in this centenary celebration of poetry, friendship and the Great War. 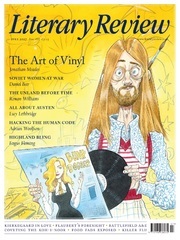 Anglia has been published in Literary Review, July 2017. Thomas came to poetry and his death on the Western Front in 1917. Digital show in cafe area of Thomas’ own photos from his book, In Pursuit of Spring (1913) by kind permission of the Thomas Archive, Cardiff University. Download the festival programme here. Wastwater has been published in New Statesman, 18 June 2017. The lectures will be Edna Longley on ‘Edward Thomas and Early Twentieth-Century Print Culture’, Guy Cuthbertson on ‘Edward Thomas and the Arts & Crafts Movement’, Richard Emeny on Edward Thomas and Steep’ and Matthew Hollis on ‘Thomas’s Path to Poetry; Frost, Steep, and his Path to War’. There will also be readings from Thomas’s poetry and prose, given by Edward Petherbridge, Michelle Magorian, Tom Durham and Michael Longley. The afternoon will conclude with the inauguration of the Edward Thomas Study Centre at Petersfield Museum, after which attendees will have the opportunity to inspect the collection and facilities there. The full programme for the Study Day can be downloaded here. Early booking for this event is strongly advised. The cost of attendance, including lunch, other refreshements and admission to Petersfield Museum, is £20 for members of the Edward Thomas Fellowship, £25 for non-members and £15 for students and people aged 18-25. There is a £5 reduction if lunch is not required. Booking should be made using this form. To listen to the programme, broadcast on 6 April 2017, click here. Thaw, an article on Edward Thomas’s poem, has been published in The Reader, Spring 2017. Matthew joins Paul Farley on The Echo Chamber to read and discuss Stones, published by Incline Press. To listen to the programme, broadcast on 4 December 2016, click here. Join us for a rare reading by Tom Paulin, one of the most important poets of his generation. He will be joined by Norfolk poet Matthew Hollis who will be launching East, his limited edition handmade pamphlet of East Anglian poems. East is published by Clutag Press as part of the Five Poems Series, in a limited printing of hand-made, hand-sewn copies. The White Hart and The Wife’s Lament have been published in The Rialto, Autumn 2016. 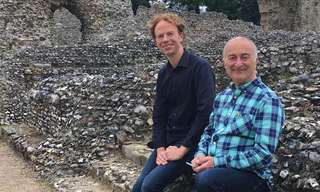 Matthew joins Tony Robinson along the Icknield Way to talk about Edward Thomas in Channel 4’s new series Britain’s Ancient Tracks. To watch the programme, broadcast on 15 October 2016, click here. Join Matthew Hollis for the launch of Stones, a limited letterpress poem, delivered with a captivating account of the making of the publication in traditional metal type. 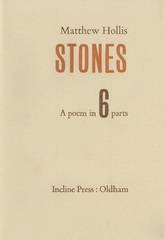 A poem of around 200 lines, Stones takes its setting from the Lake District, where Matthew was living when he began working on it in 2006. It has taken a decade and over 300 pages of drafts to complete. 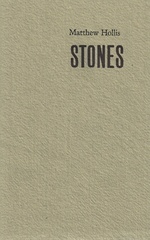 Stones is published by Incline Press in a limited printing of hand-set, hand-sewn copies. Two leading poets read from their new publications. 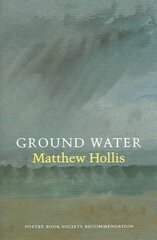 Faber & Faber Poetry Editor and author of the Forward and Whitbread Prize-shortlisted Ground Water, Matthew Hollis introduces Stones, a swirling meditation on loss and recovery set in the beautiful surroundings of the Lake District. Blake Morrison’s first full collection for almost thirty years, the ardent and elegiac Shingle Street is a stunning evocation of the Suffolk coast and a powerful observation of the erosion of our land, lives and values. A new edition of Stones, a poem by Matthew, is published by Incline Press in October 2016 in a limited edition of fewer than 400 letterpress copies. Entirely redesigned and reset in Bembo type, this elegant new edition is available direct from Incline Press, the London Review Bookshop and Collinge & Clark. Contemporary Poets and Utopia with Fleur Adcock, Dean Atta, Helen Dunmore, Anna Hoghton, Sarah Howe, Nick Laird, Tim Liardet, Andrew McMillan, Hollie McNish, Daljit Nagra, Ruth Padel, Jo Shapcott, Michael Symmons Roberts and Jane Yeh. To launch the May 2016 season and the May Bristol800 Weekender, ‘two days debating the practical aspects of creating utopia’, the Festival of Ideas commissioned 15 leading poets to each write a new poem on the utopian theme. They present their work tonight, talk about what inspired them and join the debate on creating perfect worlds. Hosted by historian and presenter David Olusoga. 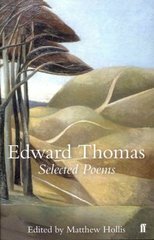 Selected Poems of Edward Thomas, edited by Matthew, is reissued in a new hardback edition by Faber and Faber on 19 May 2016 as part of a new series of Faber Nature Poets. An evening in the company of award-winning poets Don Paterson and Matthew Hollis. Don Paterson will read from his acclaimed new collection, 40 Sonnets which has just won the Costa Poetry Award. Matthew Hollis is launching his first publication since Now All Roads Lead to France won the Costa Award for Biography. Stones is published by Incline Press in a limited printing of numbered, hand-set and hand-sewn copies issued just in time for the Festival. Causeway has been published in the Guardian’s Keep it in the Ground campaign, curated and introduced by Carol Ann Duffy, 20 May 2015. To listen to the actor James Franco read the poem click here. To read all the commissioned poems click here. In the last in the series covering 1915, Francine Stock looks at how the harrowing effects of World War I began to make themselves apparent in art, music and poetry. 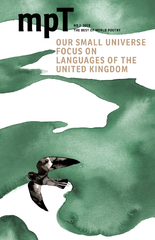 With contributions from Dr David Code, University of Glasgow, Dr Anna Farthing, Professor Edgar Jones of King’s College London, John Forrester, Dr Dorothy Price, University of Bristol, and poet Matthew Hollis. 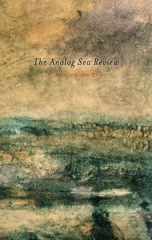 Beck has been published in the Spring 2015 edition of Ploughshares. In 1914 the American poet Robert Frost published his collection North of Boston. It was hailed as ‘one of the most revolutionary books of modern times’ by the English poet Edward Thomas. Matthew Hollis, who has written about the friendship between the two writers, is joined by Frost’s biographer Jay Parini to discuss the poet. Recorded in front of an audience at the Royal College of Music. 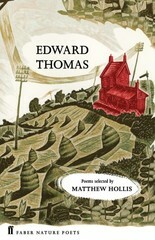 Selected Poems of Edward Thomas, edited by Matthew, is reissued in a new hardback edition by Faber and Faber on 3 July 2014 to commemorate the poets of the First World War. To listen to Matthew discussing Edward’s Thomas poem on BBC Radio 4’s Bookclub, click here. To read Matthew’s account of the drafting of the poem, click here. To follow The Poetry Society’s celebrations of the poem, click here. Matthew Hollis discusses his Costa winning biography of the poet Edward Thomas, Now All Roads Lead to France. Wastwater has been broadcast on BBC Radio 4’s The Echo Chamber. 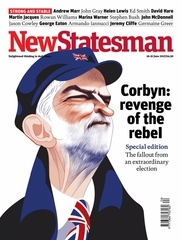 Secrets of a River has been published in New Statesman, 26 July 2012. 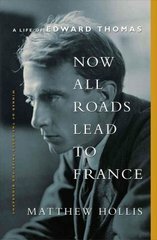 Now All Roads Lead to France: A Life of Edward Thomas is published in the United States by W. W. Norton on 22 October 2012. For details click here, and to purchase a copy from the United States click here. 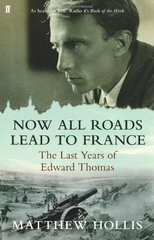 Now All Roads Lead to France: The Last Years of Edward Thomas, is published in paperback by Faber and Faber on 5 January 2012. Sarah Crown joins Matthew for a walk around Edward Thomas’s Hampshire and for a reading from Now All Roads Lead to France in Cameron Robertson’s two films for the Guardian. The Staithe has been published in New Statesman, 12 December 2011. 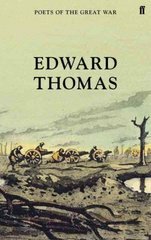 Now All Roads Lead to France: The Last Years of Edward Thomas, a biography by Matthew, is published by Faber and Faber on 4 August 2011 simultaneously with his edition of Thomas’s Selected Poems. Read Matthew’s specially commissioned pieces on the friendship of Edward Thomas and Robert Frost for the Guardian, and on the composition of Thomas’s poem ‘Adlestrop’ in the New Statesman. Download the Faber podcast and watch Matthew talking about the book here. Matthew Hollis on Now All Roads Lead to France from FaberBooks on Vimeo. Read the first reviews: Sunday Telegraph, Independent, Financial Times, Daily Mail, Guardian, Independent (Selected Poems), New Statesman, Literary Review, Irish Times, Irish Examiner, Daily Telegraph and Guardian (Selected Poems), Herald and Spectator. A summary of comments by the Sunday Times, Independent and Mail on Sunday appears here. Commenteries on Thomas appear in the Irish Independent and Independent. Now All Roads Lead to France has been recognised with a Royal Society of Literature Jerwood Award for Non-Fiction. 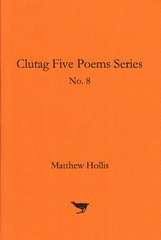 Matthew’s recording of Ground Water for The Poetry Archive is now available on CD and online. To visit the Archive click here, or to purchase the CD click here.